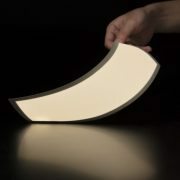 LG Display emphasized that the automotive industry can differentiate design through plastic OLED (POLED). 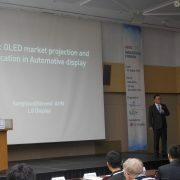 During the Industrial Forum IMID 2016 held on 23 August in Jeju ICC of South Korea, LG Display’s Automotive Sales and Marketing director Sanghyun Ahn gave a key note presentation titled ‘Plastic-OLED Market Projection and Application in Automotive Display’, and explained advantages that POLED brings to automotive interior design. 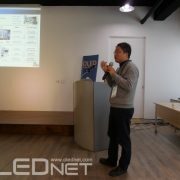 In particular, Ahn emphasized that POLED allows design freedom for automotive cluster and CID (center information display). 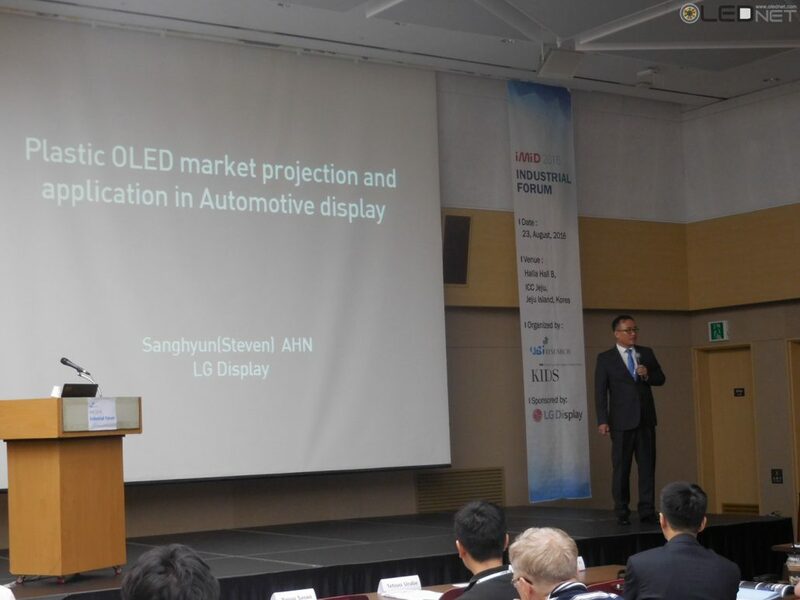 Ahn told the audience that cluster and CID related design differentiation and large size actualization is possible in the automotive market and requires unbreakable panel. POLED allows for integration of CID and cluster, a large size CID, and unconstrained cluster design, and can become a differentiation point in the automotive industry. 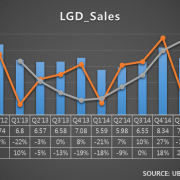 Compared to LCD, OLED is thinner and superior in contrast ratio, color gamut, and response speed. 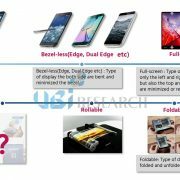 However, Ahn added that OLED’s lifetime and burn issues remain to be solved. He explained that POLED’s lifetime at 25°C LT80 is expected to increase to 15,000 in 2020 from 10.000 and reliability is estimated to improve from 2016’s 240 hours to 2018’s 500 hours. 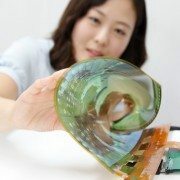 Ahn revealed that regarding POLED for cluster and CID use LG Display is planning to release 13 inch FHD curved POLED in 2018, and curved and freeform 25 inch POLED in 2019.